The Caribbean high noon sun embraced us like a heating blanket as we started our short walk through the countryside to Juana's place. The semi-paved dirt road led us by a small market shop, and as she waved to the people inside, she turned and said with a proud smile, "My father is the owner here". I waved back and the four of us continued with a steady walk to our destination. The big avocado tree marked the beginning of the small property and the little pig tied at the bottom, circled it left and right like a restless guard. Juana opened the big lock and a squeaky metal fence door swang wide open. We entered the yard, passed the main house on the left and proceeded to a smaller one at the far end. 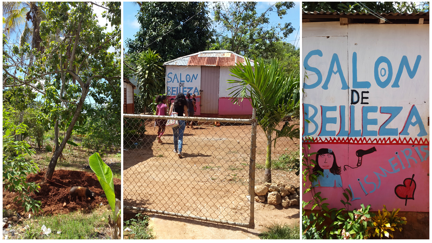 Painted pink and white with SALON DE BELLEZA (beauty salon) on the side, left no doubt where the magic takes place for the local women. When I entered, I was impressed with what I saw. A space neatly organized with a 3-seat couch on the left, obviously the ladies waiting area, a hair washing system in the corner followed by a big mirror and a big chair right in front of it. Left and right, beauty products in shelves were placed in the proper order, ready to be used right away when needed. At the opposite wall two big hair drying machines filled up the space in perfect accord. She stands by them with pride, knowing very well that all this didn't happen overnight. “My first loan was in May of 2011 for only 7.000 Dominican pesos (about $155 USD). All this didn't exist back then. I bought my first equipment and started working at home, the brown and white house you saw earlier coming in. Now 4 years later, I am in my 8th loan and the amount compared to the 1st one is a whopping 35.000 pesos ($775 USD).” Each loan year after year increased along with the business. A second small building was created to house the beauty salon. “My husband was very happy about that”, says jokingly. “Slowly, one by one, I bought the equipment and the products I use, and here we are now!” A small boy ran in the room interrupting Juana with a big hug. “You’ve met my girls, that's Roni my son. He was playing with his friends, and he loves soccer, football as you call it”. Wearing an Inter Milan jersey in a country where baseball is the number one sport, left no doubt about that. I looked at the big chair, the scissors and then Juana and asked her if she can cut my hair. She gladly accepted and in no time I was sitting comfortably with a grey towel on my shoulders waiting to be serviced. As she was working, she continued her story. I thanked her for her work and offered to pay. “Your money is not good here”, she said with a smile, “let's go to the house and get some refreshments. It's very hot.” For my luck the kids distracted her for a few seconds, and that was all I needed to hide some pesos for her to find later. When she returned her attention back to me, the “crime” was already done and we all headed next door locking the SALON DE BELLEZA behind us. 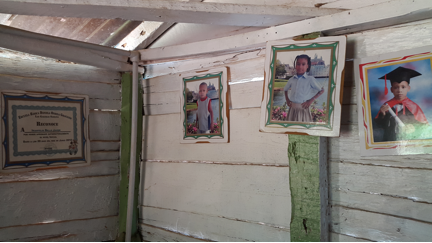 We sat briefly in her house where the walls were decorated with framed pictures of the children school graduations and diplomas. 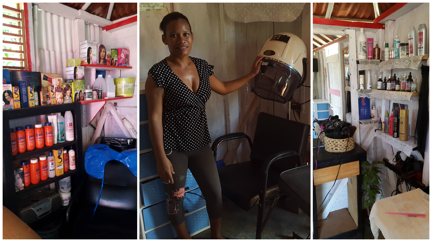 I couldn't stop thinking that none of that would existed if not for the help of Esperanza International and of course KIVA that united simple people over the internet, people like you and me, that gave a small loan and made a dream become reality. My thoughts were interrupted by my ride as it was waiting outside the house to take me back. I kissed everyone goodbye and left with my heart filled with positive energy. Between Paris, Athens, and Madrid, this was not only one of the best haircuts I have had but also one that I will remember forever. 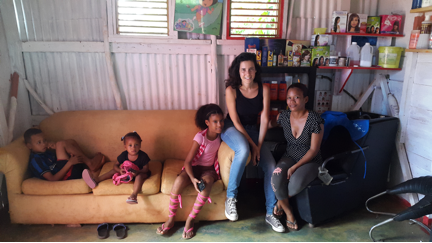 If you would like to help Esperanza reach more people in the Dominican Republic and Haiti, click here to browse their loans fundraising on Kiva! 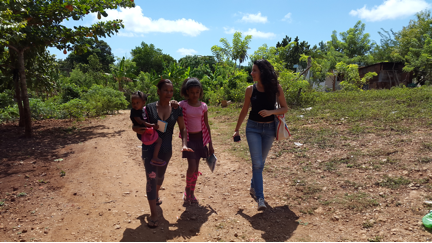 This post is the 2nd part of a 1st blogpost published here about Juana’s Group loan. And again, “thank you” to Christos for editing this blogpost. As English is my 4th language, telling this nice story as it is would not have been possible without his help and patience! Ariadni is proud of her Greek roots. Born in Paris where she took her degree in Business Administration specialized in Finance, Ariadni is convinced that exploring out of your comfort zone "is where the magic happens". Nothing better than seeking new experiences, different life perception and travelling a lot! For the last 10 years, she had been based in Spain. After serving as a senior financial auditor in Ernst & Young, she entered the Business Risk department at Barclays Bank Spain where she has participated or led a broad range of projects linked to Risk Advisory, Regulatory Compliance and Operations. Her increasing interest in people and social causes led her to move to new pastures... In 2013, she joined the Barclays Investment team to implement the skill-based volunteering strategy in Spain, manage existing social projects and coordinate the reporting for Europe and Middle East region. Having both "skills and heart" entangle in her new job, she believes she released the power of her full potential. 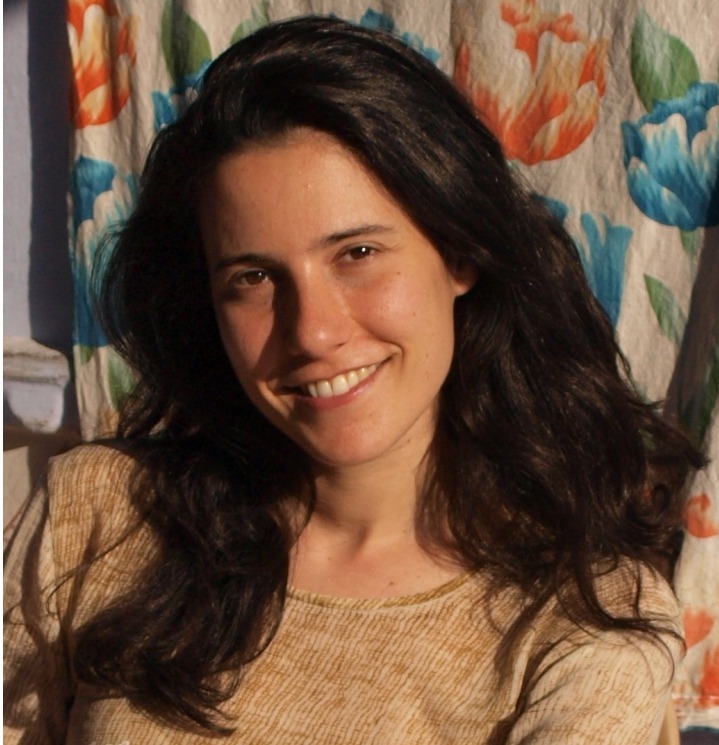 She is passionate about how Microfinance has become a simple mechanism to tackle poverty and empower people. More than that, Kiva gives everyone the possibility to be part of it. The fellowship program is an opportunity she could not miss and for sure, an open window to new possibilities.